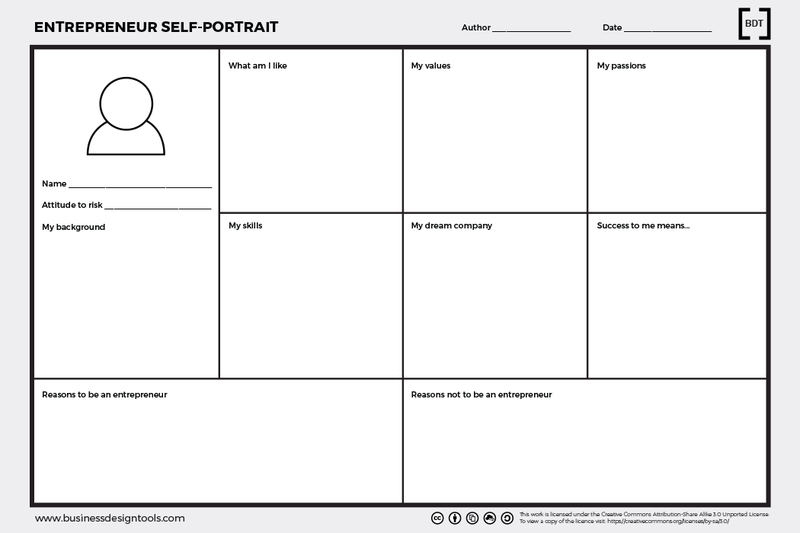 The Entrepreneur Self-portrait canvas allows entrepreneurs to reflect on themselves and understand why they want to be ‘entrepreneurs’. The tool also helps them communicate who they are to others in order to find co-founders that match their same values. The canvas also works as a reminder of why the entrepreneur have start the business journey in the first place. The entrepreneur should keep in mind when taking important decision for the business to avoid stress, frustration and lack of direction for the company. Template to create by Giulia Piu to help entrepreneurs reflect on their own needs, wants and desire before starting a business.